iPhone 8 Plus does not have an unlock code, or any type of sequence. 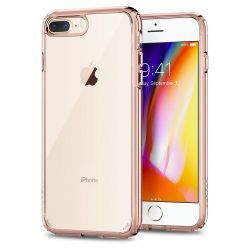 It is officially unlocked on Apple servers, which means that even after updating the system or making a factory reset the device will stay unlocked. In order to unlock an iPhone 8 Plus you need to provide the IMEI number, which can be found by dialing *#06#, or by checking in the iPhone settings. If you don't know the network you can use iPhone 8 Plus network finder. For blacklist check use our blacklist checker for iPhone 8 Plus. I recently had my phone unlocked, I am happy with it.. thank u so much .. highly recommended to my friends and family. Network unlock for an iPhone 8 Plus doesn't use a code or unlocking sequence. The device is remotely unlocked on Apple servers. If you don't have a simcard from a different network or you don't know the original network, you can use this service which helps you check your iPhone carrier and country check for iPhone 8 Plus. Video Help film shows what you should do, to enter an unlock code to 8 Plus. Na pocz±tku my¶la³em ¿e to jakie¶ oszustwo ale stwierdzi³em ¿e 39 z³ to nie s± du¿e pieni±dze i spróbowa³em. Po jednym dniu SIMLOCK zosta³ zdjêty. Jestem bardzo zadowolony z us³ugi. Servicio rapido y muy eficaz. Altamente recomendable. W ci±gu dwóch dni telefon zosta³ odblokowany. Bardzo polecam skorzystania z us³ugi. Bardzo sprawnie, w ci±gu 3 dni roboczych mia³em zdjêt± blokadê. W razie potrzeby telefonicznie wszystko mi wyja¶niano i t³umaczono na bie¿±co jak mam co robiæ. Polecam. unlocked iphone 8 plus with AT&T in 5 working days. Very good service, highly recommend. I got iPhone 8 plus unlocked on time as they described. Trochê siê denerwowa³em, ¿e d³ugo trwa³o odblokowanie, ale zlecenie z³o¿y³em w sobotê. Bior±c pod uwagê dni robocze to odblokowanie trwa³o tylko 8 godzin. Wszystko posz³o sprawnie i bez problemów. Really flawless service. Prompt responses and with no error the cell phone was unlocked as requested. just awesome service. i recommend it to all. awesome very good, extremely happy. They take some time almost 19 days but they did it. I will give them 4 stars. Took way longer than expected. I was told about 7 days, but it took 15 days. However, once I got the unlock instructions it took less than 5 minutes. Would have been 5 stars if they kept to their time window.